The Hotel is in the Co Galway town of Claregalway just on the outskirts of Galway City. 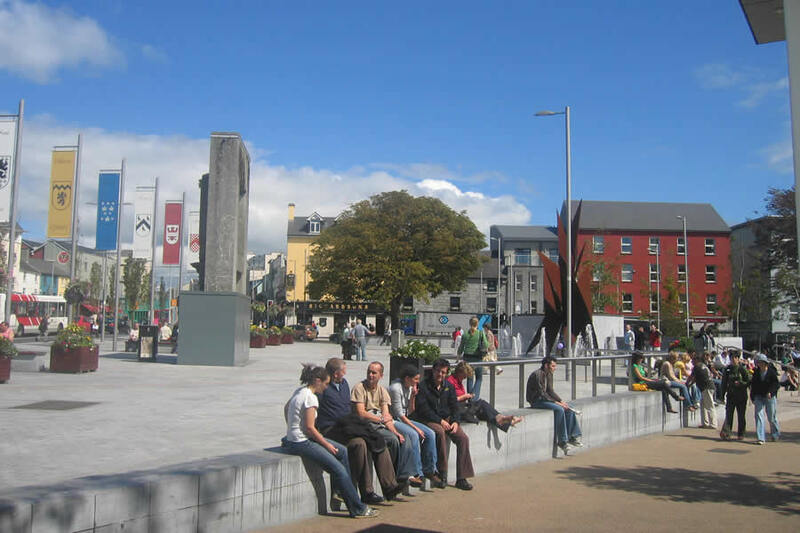 Galway City is just 3 miles away and Connamara is less then an hour away by car. Hotel was fine, staff very friendly, room was tidy and clean, bed was comfortable. The food was very tasty but maybe a bit too much on the plate,which resulted in me having to leave some although it was very nice, portion sizes could be looked at. The reason I dropped the stars was the condition of the shower,it was a proper shower enclosure with sliding door,not a useless curtain in a bath, the overall condition of it was dire,the base was cracked the joining between base and wall was a patched up mess and the grouting needed serious attention. To me this is the one area in a room which should be pristine, other people may think differently. We stayed in the Archers Hotel on the 19th and 20th September, while the room was spotlessly clean, the staff were friendly and the food good, the major issue was that there were functions in the hotel both nights of our stay and as we were on the first floor of the hotel, sleep unfortunately escaped us some of Friday night but for the best part of the Saturday night as the room were in was directly over the function room. On the Saturday night it got to the point where we had to insist that we were moved to another room, whilst this was arranged for us and very quickly at that, it was to another room on the first floor which really made no difference. I don't mean this to be a moan review but If people are thinking of staying in the Archers I would suggest that perhaps rooms on the second and third floors are requested, as it really put a damper on our weekend away and I feel it could can be avoided for other's who read this. It's unfortunate we had this experience as otherwise the hotel was lovely. Really lovely hotel with really good staff very clean and huge beds! Only complaint was the bathroom although spotless clean smelled slightly of damp but will definitely return again! Stayed in the Arches Hotel one night with breakfast for two included. It is not a large hotel but perfect for overnight stay. Bus stop across road for bus into Galway City which is only a short bus ride....Check in was fast and efficient and we were told we could have "a lie in" because breakfast would be served up until 12 noon... :) Rooms very clean and spacious. Lovely relaxing bar area which was quite busy with a mixture of ages eating and drinking. Food was reasonably priced and tasted good!! Breakfast the next morning was delicious (only hot food-no continental). Staff were all very welcoming polite, helpful and hard working.. well done.... We thoroughly enjoyed staying in The Arches Hotel and would recommend this hotel to others.. Thank you for welcoming us. Our stay in this hotel was excellent. We had our evening meal there on friday night and it was great value, service and good size portions. We stayed at the Arches Hotel for two nights during the May Bank Holiday weekend. The room was lovely, big, comfortable and spotless. Breakfast was very good. We had dinner there on our first evening and it was so good we had dinner there on our second evening as well, instead of going in to Galway city to eat. All of the staff were so friendly and helpful. It is actually about seven miles in to Galway city though, not three as stated on the website. Taxi prices are quite high...€15 to €20 each way. There is a bus stop across the road though with regular buses in to the city. I can't wait to stay there again. We had a fantastic time in Arches hotel in Clare Galway , fab food and loads of it !! Very nice staff .. Lovely comfy rooms ...everything was 10/-10.......and the locals are very friendly in the bar at night ... The steak is amazing is you happen to like meat ...oh and we lost our car key and thought the evening was ruined but no the night porter found it ..
Really enjoyed our stay here. Had the most friendly staff ever. The hotel was clean and comfortable and the food was delicious and reasonably priced.the staff could not do enough for you . Only criticism they could have better choice at breakfast not everyone wants cooked breakfast but that's just a suggestion. Had a lovely stay and would highly praise Robbie the bar man such a nice lad . 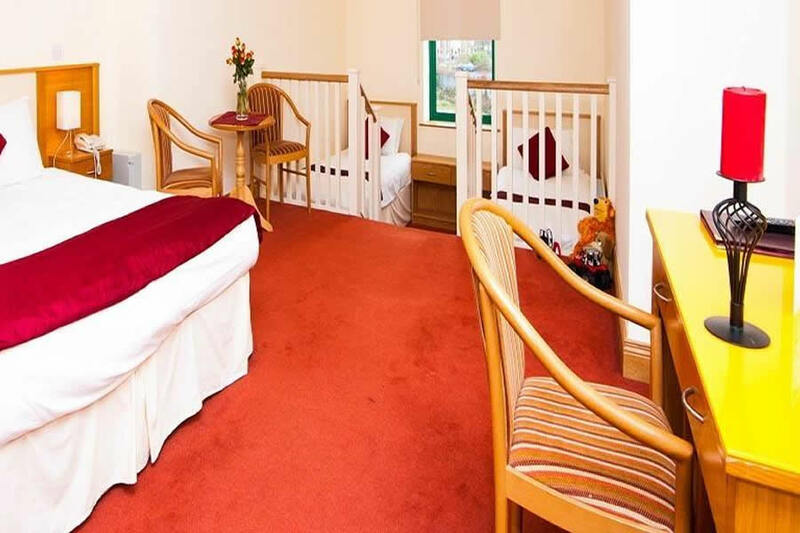 The rooms were really spacious, beds comfortable, food very good value and staff very pleasant. Overall really impressed with value for money. Staff very helpful and friendly. Room very clean and bed really comfortable. Great evening meal,Will stay again. The Staff of the Arches were very friendly and made our stay in the hotel a joy. We stayed in a family room and it was great, clean, well laid out, and the kids loved it. The setting is very picturesque and the local scenery is lovely, it makes the stay even more enjoyable. The Breakfast was excellent, well prepaired and again the staff couldnt have been nicer. We only had one evening meal but that was again great, lovely food and the prices were very reasonable too. All in all I couldn't say enough good things about this Hotel and would highly recommend it to anyone as a nice place to stay for a few days, given its good setting and the fact that Galway City is just down the road from it. Great place to stay!!! Lovely clean family room. Very friendly and helpful staff. Food was very good on the two evenings we ate there and the breakfast was lovely,with cereals and juice available when you asked. Would recommend and would come back again! Stayed in a family room. The room was basic but clean, one double bed and two single beds. Staff were very friendly and helpful. A late checkout was also offered at no additional cost. We stayed at the arches on saturday night . The room was clean and a comfortable bed which gave us a very good night's sleep. To cap that breakfast was served till 12md. The staff were helpful and friendly. Would definately stay again and recomend this hotel to others. Stayed for 7 nights and enjoyed everything about it. 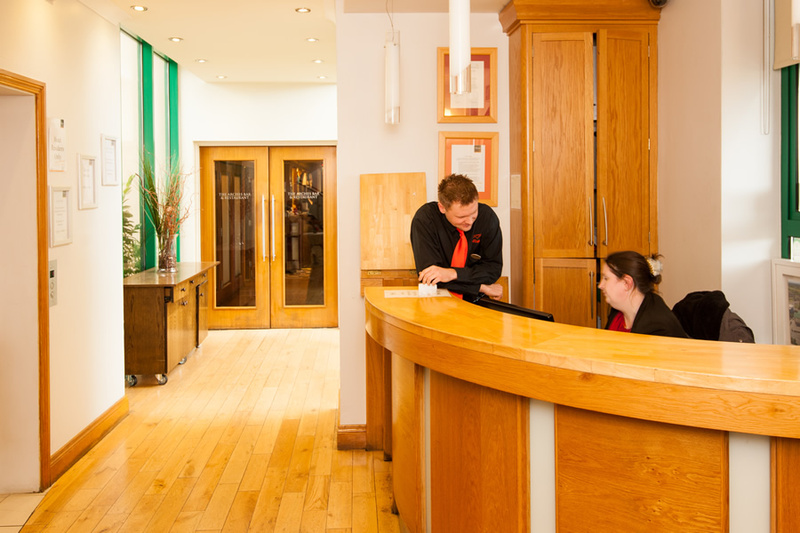 Staff were friendly, food was lovely and the room was very comfortable and clean. Many thanks for a great week. Room was very clean staff are frendly but hotel is NOT 3 miles from city its, actully more than 8 km on a very busy n17 from 5am till at least 8pm at night food was not very good, if you want a place to just rest over night this will be fine. lovely family room for us and our 11 yr old twin girls - BUT - it was to the front of the hotel which is on the N17 so there is plenty of traffic passing by to prevent you (me!) from sleeping and normally I can sleep anywhere anytime. Breakfast was only hot breakfast which suited my husband and girls, but I like having a choice of cereals, yogurts and fruit. The staff were friendly & helpful - not that we asked them to help us much - but the floor in the dining room was slippy and needed to be mopped. Needless to say I won't be back. by Jane Stayed 11/6/11. stayed in the hotel for one night. Room clean, staff very friendly. Breafast lovely. Only fault we had there was no menu to say what was on for Breakfast. We 'd would prefer if you could see the cereals/fruit/scones on display rather having to ask. Just stayed three nights with 2 kids as a base to explore Galway and Clare. It is excellent value for money. Rooms are clean, comfortable and the room wasn't crowded with the 2 extra beds. The staff were helpful and friendly. It's a real Irish breakfast loved by locals and tourists alike that really sets you up for the day. Ceilings in bedroom and bathroom have holes that could have been repaired. Saturday morning we had to wait 30 mins for breakfast only 1 person serving, Sunday morning we had to wait 40 mins again for breakfast despite being 2nd in resturant, it was not hot when served and resulted in tea and toast going cold,Regards Michael.